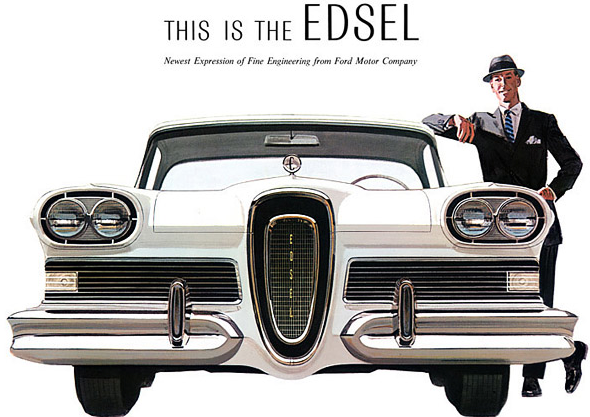 Iacocca learnt from the Edsel errors. The 1960s represented youth with Kennedy in the White House. As the head of the Ford division, Lee shut down the Cardinal project, which was McNamara’s brainchild after Falcon. 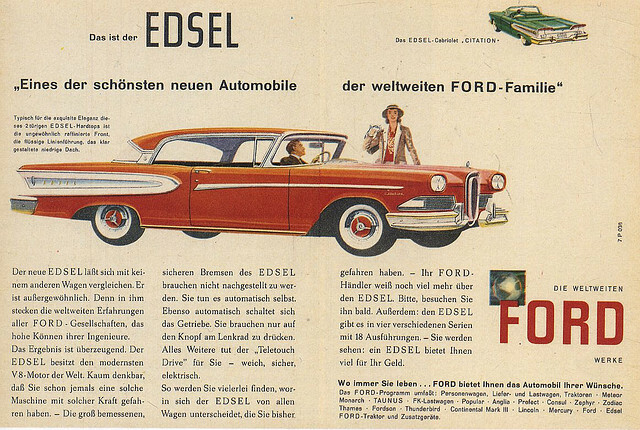 Again this car was utilitarian, cheap, fuel efficient and well built. It was also boring and built, designed and tested in Germany. Ford projected 300,000 units for the Cardinal but in the US market it was hard to imagine that it would work. The car was too ahead of its time so Iacocca advocated scrapping the Cardinal even though it cost $35 million to produce at the stage Iacocca had it shutdown. This was after McNamara had left to be Secretary of Defense under the Kennedy administration.